One of the most valuable features of the iPad from Apple is the iBooks Store. It is a certain place where you can make a purchase of your favorite readings in forms of eBooks. While having an iPad allows you to perform several tasks, they would still be incomplete without utilizing iBooks to the fullest. 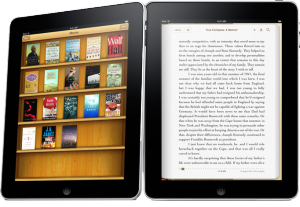 Consider the following tips on buying e-Books from the iPad iBooks Store. This will serve as your guide to getting the best eBooks available on store. The concept of procuring e-Books from the iBooks store is closely similar to that of buying media items from the iTunes store. The only distinction is the way you access both stores. Purchasing of online media products for the iPad is done by means of the iBooks application instead of iTunes. In order to do the ebooks purchase, utilize the iBooks app in your iPad. Once initiated, you should see a Store button located on the upper-left side of the apps itself. Click on the Store button to get in to the iBooks Store interface. Once you are in there, you can now start shopping for e-Books that are compatible with your iPad. Inside the iBooks store you can search for everything you want to search, just like what you do with iTunes. You can use search filters to do a quick search of e-Books like search by author or by title, perhaps. A search box is provided at the upper-right portion of the screen. On the other hand, browsing for more e-Books can be done by either tapping on the icons located at the iBooks Store’s main page. Other option you can try is tapping on the Categories menu found on the upper-left corner of the screen. Once tapped, a drop down menu will show up containing the list of all categories of the iPad’s iBooks store. Choose the category you want by tapping on it. You should then be able to see the available books under it. While inside the iBooks store, you can do an advance reading on the necessary book details provided. These would include reviews, synopsis and more. This information are presented by means of a pop-up window that shows up after you tapped a certain book you are interested on buying. From the pop-up window, you are given an option to download a book sample for free, down to your iBooks library. This can be achieved by tapping on the Get Sample button provided on screen. If you would want to purchase a certain book from the iBooks store of the iPad, just tap the price beside the book cover (located on the left corner of the screen.) once you have tapped on the price, you will the button turning green and switch to a Buy Book button. Tap this button to proceed with the purchase. Else, close the window by tapping anywhere outside it. A screen asking you to enter password will the show up. You have to key-in your password to proceed with paying and downloading of the purchased e-Books from the iBooks Store to the iPad. Downloading duration may vary depending on the file size of the e-Book downloaded. After the download, you can see the title of your newly purchased e-Book in the iBooks app bookshelves. You then can start reading on its content by tapping on it. Consider these tips on buying e-Books from the iPad iBooks Store. This will help you through.